That is a question we began to ponder while gazing at the picturesque Daniel Island landscape. Plentiful Southern Live Oaks grace our trails and line our streets, accent our waterways and shade our parks. Draping Spanish Moss clings to their branches, like nature’s regal gown on a beautiful princess. They stand in majestic elegance for all to admire, adorning our lands as living tributes to days gone by. How often we pass by and stare in awe at their silent splendor, wondering about what they’ve witnessed through centuries of change. 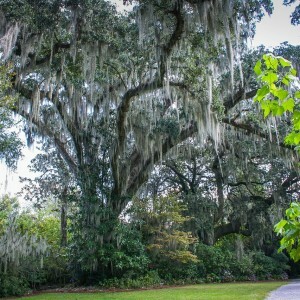 In recognition of our Live Oaks, true examples of our island’s living history, the Daniel Island Historical Society has launched a special campaign to see that our oldest island “residents” are recognized for the treasures that they are. To document, honor and celebrate Daniel Island’s most esteemed citizens, our Grand Live Oaks — living symbols of history, strength and survival. The stories of our past were created beneath their branches. We pledge to engage and collaborate with our community to help ensure that these stately evergreens are recognized, not only locally, but also through registration in the national Live Oak Society (LOS). 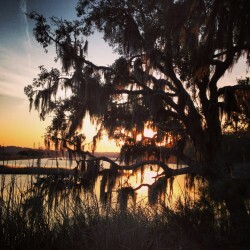 DIHS will conduct an inventory of Live Oak trees on Daniel Island that are at least 8 feet in circumference, the minimum requirement for recognition by the national Live Oak Society. Those trees that are 16 feet or greater in circumference are designated as CENTENARIANS, those between 12′ and 16′ are EVERGREENS, and those between 8′ and 12′ are ACORNS. Careful measurements and photographs will be taken, as well as complete latitude and longitude coordinates recorded. In support of our campaign, we have been given permission to offer adoptions of trees located in certain “public” areas, such as those owned by the Daniel Island Community Association (DICA, DITA, DIPA, and DIPOA). Donations are requested, based on the tree’s size/level designation. Click here to request measurement of a tree on your property! There are many Live Oak trees throughout Daniel Island that are available for adoption through the DIHS Live Oak Campaign. 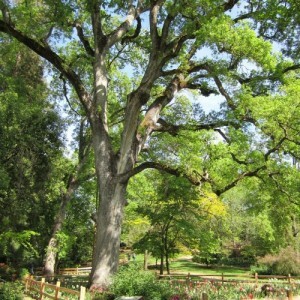 Click here to view our Tree Catalogue and pick out your tree!